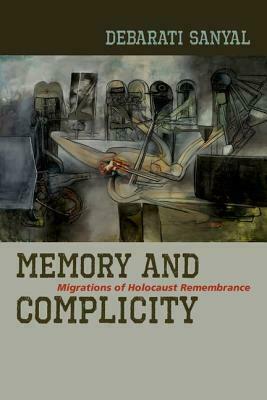 Since World War II, French and Francophone literature and film have repeatedly sought not to singularize the Holocaust as the paradigm of historical trauma but rather to connect its memory with other memories of violence, namely that of colonialism. These works produced what Debarati Sanyal calls a "memory-in-complicity" attuned to the gray zones that implicate different regimes of violence across history as well as those of different subject positions such as victim, perpetrator, witness, and reader/spectator. Examining a range of works from Albert Camus, Primo Levi, Alain Resnais, and Jean-Paul Sartre to Jonathan Littell, Assia Djebar, Giorgio Agamben, and Boualem Sansal, Memory and Complicity develops an inquiry into the political force and ethical dangers of such implications, contrasting them with contemporary models for thinking about trauma and violence and offering an extended meditation on the role of aesthetic form, especially allegory, within acts of transhistorical remembrance. What are the political benefits and ethical risks of invoking the memory of one history in order to address another? What is the role of complicity in making these connections? How does complicity, rather than affect based discourses of trauma, shame and melancholy, open a critical engagement with the violence of history? What is it about literature and film that have made them such powerful vehicles for this kind of connective memory work? As it offers new readings of some of the most celebrated and controversial novelists, filmmakers, and playwrights from the French-speaking world, Memory and Complicity addresses these questions in order to reframe the way we think about historical memory and its political uses today.